A strange thing happened when Barack Obama was elected. 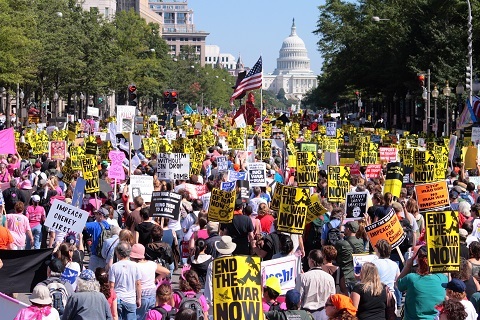 Prior to his inauguration in 2008, streets all over the United States were filled with protesters and demonstrations against wars in the Middle East, the bombings, and the drone strikes. Remember this? Then Obama came into power, and strangely, even though he escalated all the wars, the bombings, and the drone strikes, the streets have been empty. I’ve never understood why. I really enjoyed this video. Julie is very entertaining. Now that Trump is coming into office, I’m hoping that many will start paying attention again. For some reason unknown to me, everyone loved Obama, though from what I saw he was just Bush on steroids. 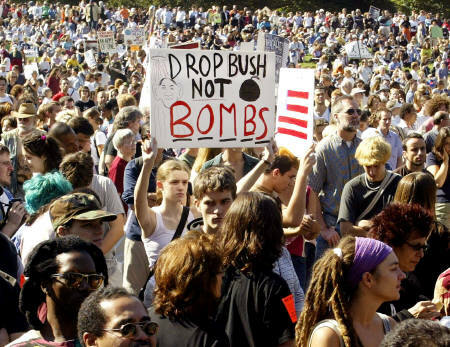 Everyone seems to hate Trump, so maybe we’ll see the war protesters come back into action. 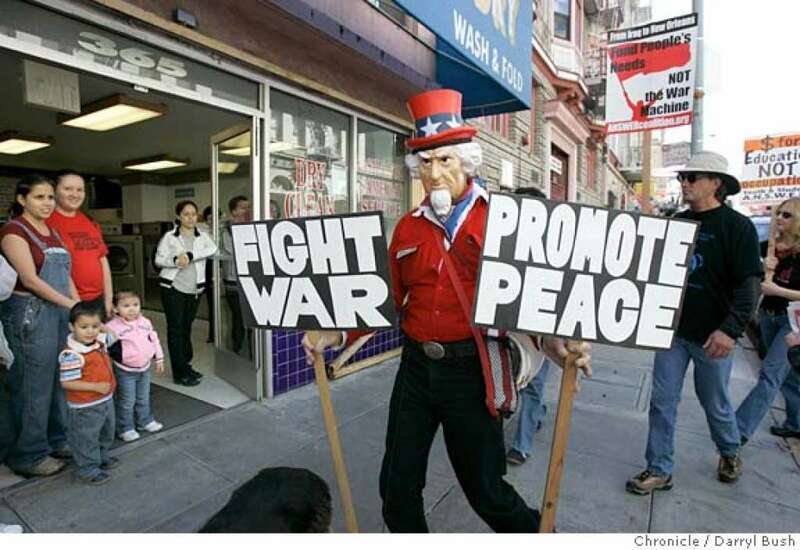 Protest, protest, and protest, and fight to end all these stupid wars. I’ll be right there with you. I’ve been sad seeing the left get caught up with rather trivial issues like bullying, safe spaces, mansplaining, and micro-aggressions, and I wish they would instead focus their energy into reforming Wall Street, the erosion of our civil liberties, and protesting all the death and destruction from these wars.